Much of the work to maintain our infrastructure goes unseen. 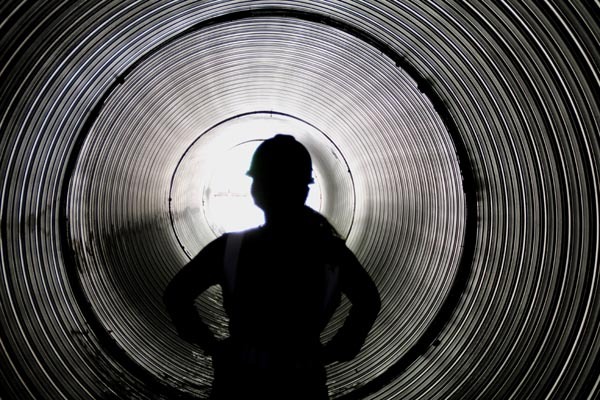 This shadowy figure is surrounded by a lining to be inserted inside a larger culvert underground on a reconstruction and safety upgrade project beneath the surface of Interstate 75 in Lima, Ohio. 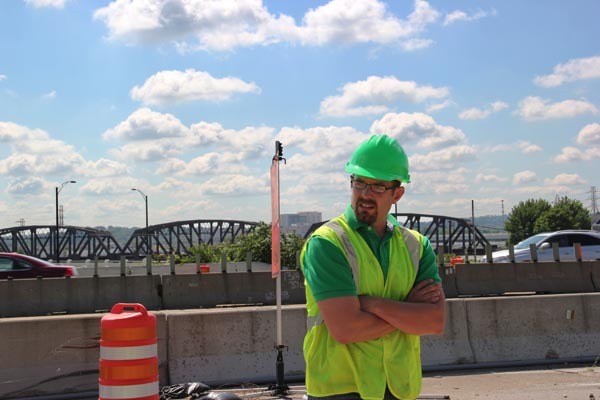 ODOT Transportation Engineer Josh Bowman is shown on the site of the Interstate 75 Modernization in Dayton, Ohio. Josh has played an integral role in all phases of the project to improve safety, decrease congestion, and provide much-needed updates to the more than 50-year-old highway serving the downtown area. 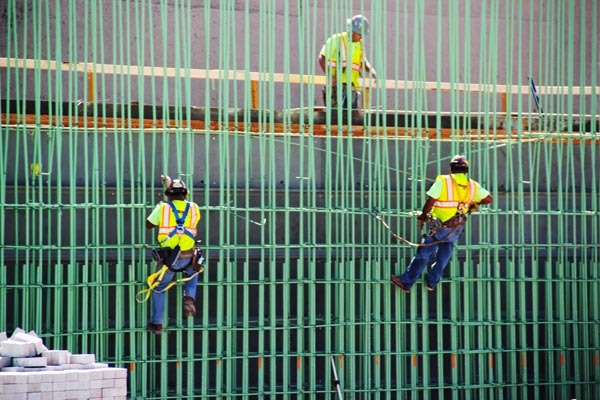 A work crew ties off pieces of reinforcing steel prior the pouring of concrete pier stems for one of the bridges on the Interstate 75 Modernization project in Dayton. The project will ensure this major area corridor will meet the present and future needs of the motoring public. 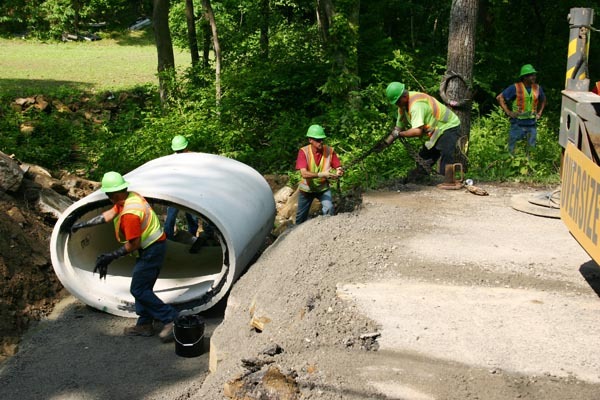 State workers install an upgraded culvert on State Route 772 in Pike County, Ohio. The old culvert was too small to accommodate the water flow, resulting in roadway flooding during heavy rains. The new culvert also prepares the road for planned resurfacing. 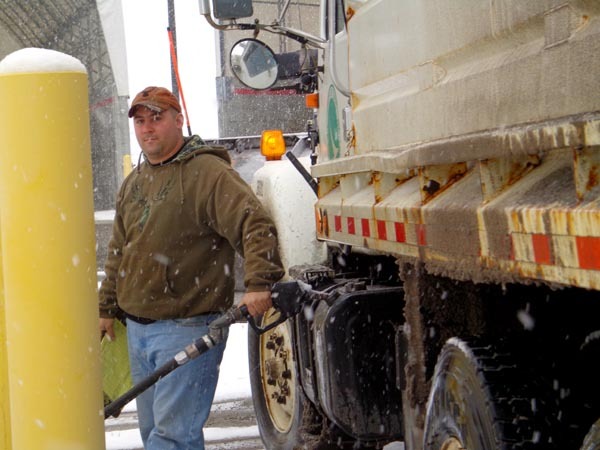 Chad Dial of Holmes County in Ohio is refueling an Ohio Department of Transportation snowplow during a winter event in February 2013. He is one of the many at ODOT who work around the clock in cold weather to keep Ohio highways safe during the snow and ice season. 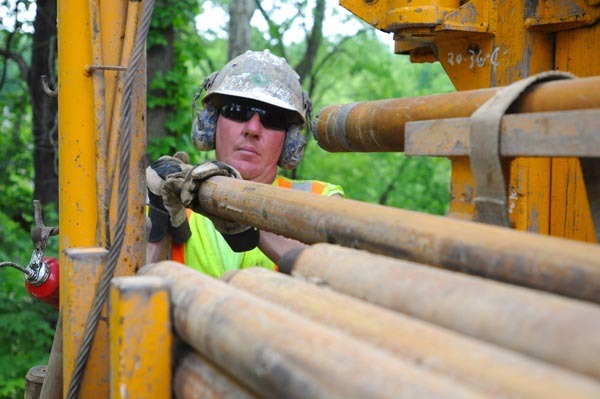 Standing above the Muskingum River on State Route 555 near Zanesville Ohio, Drilling Crew Chief Michael Lewis of the Office of Geotechnical Engineering unloads a drill rod in preparation for a soil sample on an upcoming bridge replacement project.